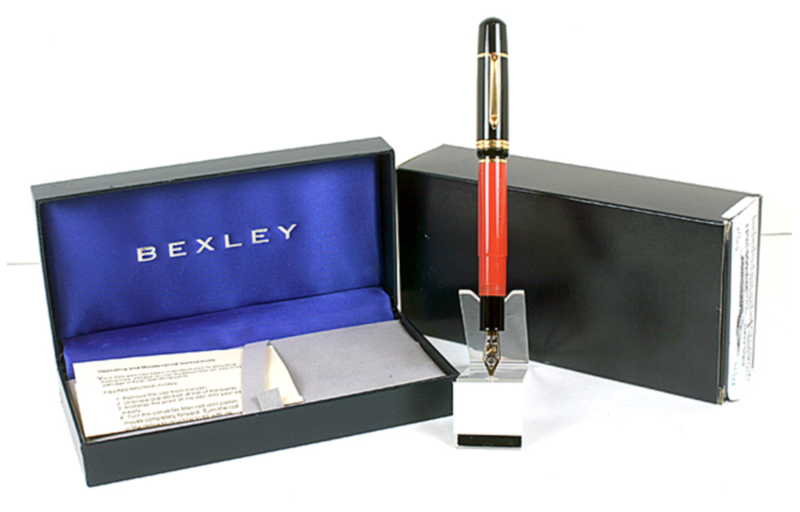 This is a 2008 Bexley Tea Time limited edition #07/51 cartridge/converter-fill in Coral with Black cap and barrel end. 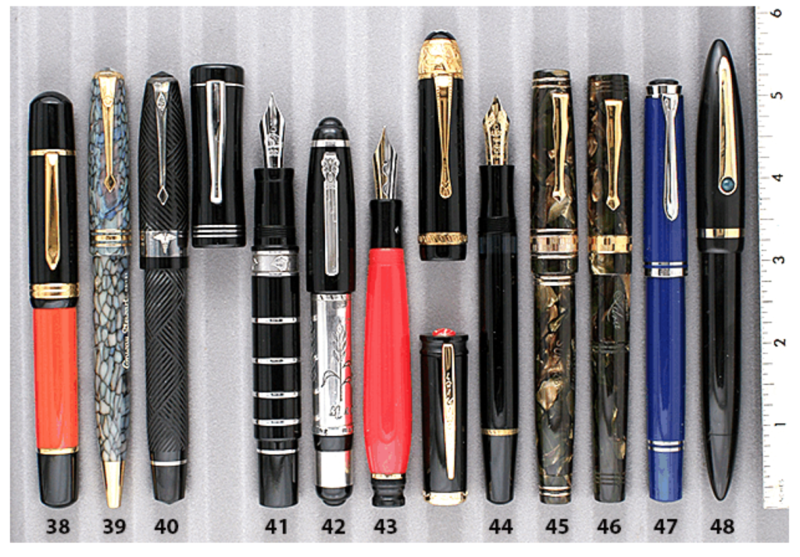 Made by Bexley and sold by Classic Pens. Features gold-plated trim, a two-tone 1.2mm stub nib. New-old-stock. Mint in box with papers, outer box and converter. UPDATE: SOLD. Item #38 in Catalog #85.